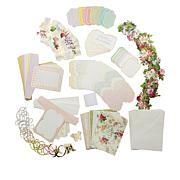 Infuse a dreamy watercolor feel into every aspect of your crafting world with this set of diecuts from Anna Griffin! 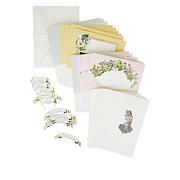 Garden motifs with a 3D effect bring all of your cards, decorations, scrapbook layouts and more into full bloom. Anna Griffin Inc. Card Kits are THE BEST. Best quality, best designs and this kit is so beautiful. If you're wondering if it's a good value, Yes! It is! Sometimes I want to make some cards without getting all my other materials out. 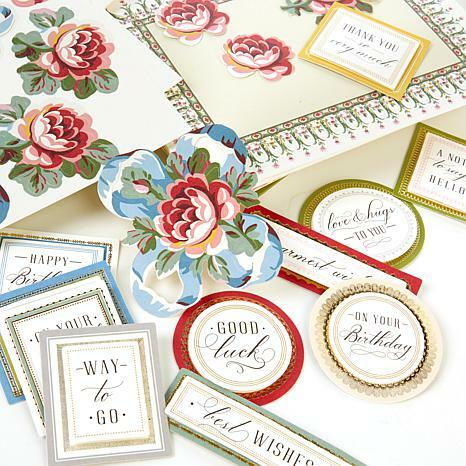 This kit has it all from the gorgeous flowers to the gold cardstock to emboss or diecut, large bows. golden diecuts and beautiful card bases. 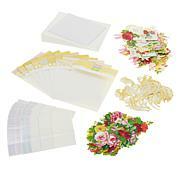 The small layer has a layout on which you layer the flowers which is like a plan already made for you. You can also get creative by using the backside of the layer which coordinates with the card bases. Really, this kit is amazing. Don't hesitate to get it. I did and I love it. Another beautiful kit by AG! Colors are stunning and so Vintage looking! You get enough flowers to make another 20 cards! Very happy! Sadly, another card kit being returned. I love it, but it's too hard to punch out the die cuts. Please have better quality control Anna Griffin.